Some orcs have finer features and less physical strength, it's not clear they are even of the same species. 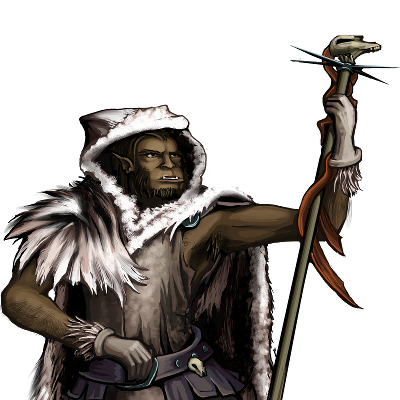 These Drifters move from clan to clan, helping their hosts with esoteric arts not otherwise available to the orcish clans. They are also messengers of higher-level, inter-clan, messages. They are essentially diplomats and observers, and have learned learned how to deal with the ghosts that roam the northern drifts.